Even with the most dynamic of speakers and the most interesting of motions, the energy levels in a debate could still be quite low if the participants merely delivered their speeches and sat back down. Thus, debate formats usually incorporate a more interactive element in order to liven up the event. For the WSDC format, this purpose is served by the use of the “Point of Information” (POI). A POI is a short interjection addressed to the Debater who is speaking by a member of the opposing team. Opposing team members must first stand and indicate that they wish to offer a POI. They may say “Point of Information”, “POI”, “On that Point,” “Sir/Madam”, and a variety of short phrases to attract the attention of the Debater speaking. The opposing team member may only continue to deliver the POI only when the speaker has accepted the POI. In most WSDC style tournaments, the POI may not be longer than 15 seconds and the speakers will usually cut the POI off if it stretches for long. If the speaker declines to take a POI, the opposing team members must sit down and wait for another opportunity. Although it is called a “Point of Information,” the opposing team member may use the interjection to raise any point. The POI is thus typically used to raise a quick rebuttal, argument, a question or a clarification to the speaker. The speaker should provide a response to POI straight away. There are no rules on how long the responses to the POIs need to be. However, they should not be too long that they interfere with the delivery of the rest of the speech. The beginning and the ends of speeches are usually “protected time,” during which POIs may not be given. In the WSDC format, POIs are not allowed given during the summary period. a. It’s in the rules! – All debaters are required to take POIs and they are expected to take at least 2 per speech. Taking only 1 or none at all will be punished by the judges through the docking of points. b. It demonstrates quick wit – The POIs allow speakers to demonstrate their ability to quickly think of an effective response. This opportunity to demonstrate mental agility is especially appreciated by First Proposition Speakers, who would otherwise not have the chance to show that they are capable to developing good rebuttals. Otherwise, it could be difficult for the judges to know if the First Proposition Speakers were good debaters or merely people who are able to deliver a script well. c. It demonstrates good time management – Listening to 2 POIs and responding to them takes up a fair amount of time. Being able to handle this without compromising the substantive arguments and/or rebuttals shows good planning and time management. d. It provides early warning – Taking a POI can be useful in that it provides early warning on the approach taken by the opposing team and the arguments and rebuttals it may run. e. It provides early counter-rebuttals – Taking a POI during the substantive argument may allow the speaker to pre-emptively provide a counter rebuttal and weaken the opponent’s refutations. a. It’s the rules! – Every team member is expected to offer a certain number of POIs during every opponent’s speech. Usually, the minimum to be offered is two per speech. Again, the judges will penalize teams or team members who do not offer sufficient POIs. b. Immediate highlighting of flaws – POIs provides opposing teams with an opportunity to refute a point immediately without needing to wait for their turn to speak. This early rebuttal, if used effectively, can cast doubt on the argument even as it continues to be delivered by the speaker. c. Demonstrate ability to hit quickly – POIs give opposing teams the opportunity to show that they are able to deliver quick attacks on the speaker’s points in an effective manner. It is often difficult to craft a coherent response to a point within 15 seconds or less. Thus, a well delivered POI will be seen by the judges as evidence of a quick and ordered mind. d. Put pressure on the Speaker – A well delivered POI can pressure the Speaker into providing a suitably effective reply. This is better than letting the Speaker carry on uninterrupted and gaining more and more confidence by the minute. e. Demonstrate close tracking of the speaker – Consistent giving of POIs demonstrate to the Judges that the opposing team is tracking the speaker carefully and that they are fully engaged in the debate. Keep the POIs short and sharp. The WSDC rules dictate that a Debater has 15 seconds to deliver a POI. In reality, however, the Debater speaking may elect to cut off the POI giver in 5 to 10 seconds. As such, it is imperative for the POI to contain the main point in the very first line. If the POI giver is not cut off, an elaboration or example may then be added to the POI. The POI should be driven by a core principle or argument rather than a small issue or an example. The speaker will generally be able to deal with the latter quickly and move back to the speech. In contrast, having a strong argument anchoring the POI will generally require the POI taker to spend some time refuting it. 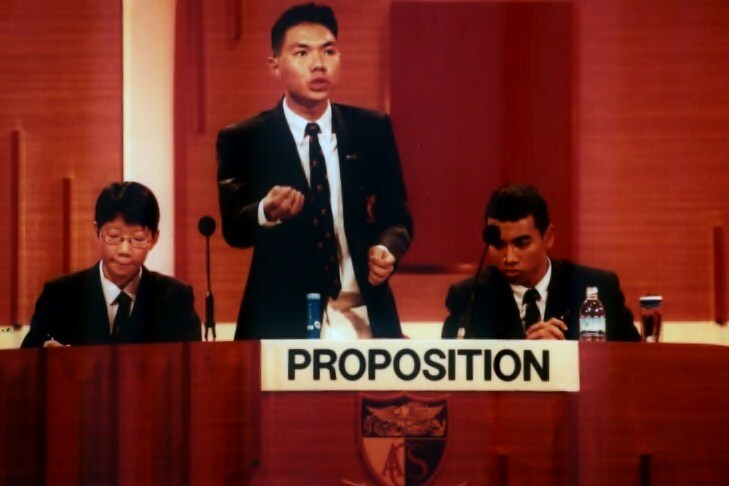 Debaters will no doubt have been part of matches where two or even three of opponents stand up simultaneously to give a POI. This is not good. Not only does this allow the speaker to pick and choose whose POI will be taken, it also keeps everyone standing and being unable to track the speech properly! Instead, a “POI order” should be established so that it will be clear which Debater will immediate sit down in favour of a teammate. This will also mean that the speaker will have no choice but to take it from the most dangerous POI giver in that instance. When raising a POI, it is permissible to interject and attract the speaker’s attention by saying “Point; Point of Information; or On that point.” It is also permissible to have some variation and refer to a particular issue being talked about by the speaker, such as “on globalization.” However, it is illegal to raise anything substantive without having the POI being accepted by the speaker. Thus, raising a POI during a speaker’s point on the harms of a policy by saying “on checks and balances” will be illegal as the POI giver’s point would already have been made even without the speaker accepting the POI. In general, Debaters should avoid trying to be creative in raising POIs. Doing so may make it appear as if they were cheating and some judges could well penalize such action by docking points. There is also nothing to be gained through such POIs. When giving POIs, Debaters have to ensure that they can be seen and heard by the speaker. In a setting with the speaker may stand far ahead of the opponents during a speech, it may be difficult for the speaker to hear the POIs being raised. Thus, standing up, extending an arm and projecting the POI loudly are necessary steps in ensuring that the speaker will be able to notice the POI giver. When Should POIs Be Given? Give POIs Early: It is sometimes difficult for some Debaters to stand and offer POIs. Many often end up waiting subconsciously for a teammate to offer them first, with the net effect being that no POIs are offered until late in the speech! Thus, there should be an attempt to give the POIs as early as possible in order to establish a rhythm. Giving POIs early also means that the opponents can afford to listen more and track carefully when the constructive arguments are being read out by the speaker. This is especially true for the opponent who is scheduled to speak next. By getting the POIs offered early, this opponent will be able to concentrate fully on the speaker for the reminder of the speech while preparing the rebuttals. Give During a Strong Argument: When a speaker is delivering a very strong argument, it is often difficult to stand up and offer POIs. It can also be difficult to interrupt when a speaker particularly fluid and does not offer natural openings for a POI to be offered. It is even more critical that the POIs are offered in these situations. The mere act of offering a POI registers a protest and shows that the opponents do not agree with these points. If it is taken, it offers the opponents to nip a potentially problematic argument in the bud. In contrast, if no POIs are given, the speaker will be further emboldened while the judges will start to feel that even the opponents agree with the speaker. 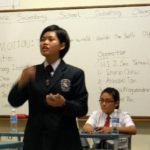 Although teams are generally encouraged to give POIs as this increases the interactivity in the debater and raise energy levels, they should never offer POIs in a frequency and manner so as to disallow the speaker to continue with the speech. This is illegal and is in fact a sign of a team that does not have confidence in its own arguments and has to resort to bullying tactics. Keep in mind that the pace and the frequency of POIs will have to be especially considered when debaters face teams which appear to be the underdog due to their younger age, lack of experience or unfamilirarity with the English Language. Tip: The sound of the chairs being pushed back when standing to give a POI can be very distracting to the speakers. It is best for POI givers to keep the chair pushed back so that they can stand without making a noise. Giving a POI necessarily disrupt the flow of the speaker and accepting it will make it even more disjointed. The POI giver is also distracted and will not be able to track carefully. Therefore, Debaters may wish to avoid giving POIs when the speaker is establishing a key definition or a policy. This will ensure that no misunderstanding arise over the key definitions and clarifications of the debate. This does not mean however, that the entire first halves of the First Speakers’ speeches are protected. Rather, it means that the POIs should be used judiciously during this period. If it becomes apparent to a team that a particular opponent offers strong POIs, it may decide to block this opponent out and not take those POIs. In this case, the opponent should reduce the POI frequency and instead pass those POIs along to the teammates to be raised. Do not give a POI when the speaker is still answering a previous POI. It does not look sporting. Furthermore, it has the effect of the opponents trying to DEFEND a previous POI, which weakens their stance and strengthens the speaker’s. On some occasions, some speakers may end up not taking POIs until very late in the speech. In these cases, the opponents may make a strategic decision to stop giving POIs and have the speaker appear on record as having taken no POIs. However, the opponents will need to ensure that they had already given plenty of POIs at the beginning of the speaker’s speech. For speakers, proper handling of POIs is an important skill to acquire. The POIs being offered and answered come at the expense of the time allocated for the speaker’s own speech. As a result, the speaker will need to exercise tight control over how the POIs are handled. When taking a POI, debaters should always finish their sentences before letting the opponent speak. Once the POI has been responded to, speakers should also indicate to the judges that they were not returning to their speeches. In some situations, the speakers may feel that the POI may be addressed by an argument to be raised later in the speech and state “ I will deal with this later.” This is risky, since that argument may not actually respond directly to the POI. Worse still, the speakers could forget about the POI altogether. Thus, the speakers should always deal with the POI quickly and then indicate that there will be a further elaboration on the POI further in the speech. Some Debaters practise the bizarre habit of walking up to the POI giver while it is being delivered. This can appear very aggressive and make the speakers look as if they were trying to bully the POI giver. Furthermore, the time spent walking to and fro is time not spent listening carefully to the POI and thinking of a response. The best way to deal with the POI is to stand still, listen hard and respond quickly. Remember that both the POI and the response are not meant to private communication between the speaker and the opponent. Both should be directed to the judges and the audience. Speakers should always go into a debate with a PLAN on when they wish to take POIs. This way, they will not have to spend much effort trying to plan during the speech proper. Here are some possible approaches and their respective pros and cons. Option A – Take both early in the speech. Pros – This approach allows speakers to quickly take care of the 2 POIs and then ignore them for the rest of the speech. Cons – Unless time is managed carefully, the speakers are likely to have delays in starting their substantive arguments (1st and 2nd speakers) or later contentions (3rd speakers). 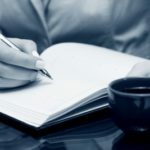 Pros – This can be an advantage, especially for the 1st and 2nd speakers, as the POIs will come during the substantive arguments section, which will be a position of strength. Cons – Opponents may have stopped giving POIs in the second half of the speech. This may also lead to constructive arguments or examples being dropped due to a lack of time. Pros – This allows for a balanced use of time for the POIs during the speech and demonstrate to the judges that the debaters are comfortable with POIs in either section. Cons – May be harder to remember to take the 2nd POI. Debaters should try out all these methods and their own permutations so that they will have their own POI plans set before the start of the speech. Keep in mind that Speakers should avoid taking the POIs when they are delivering a point which they believe is not that strong and could be attacked easily by the opponents.